The story of the tortoise and the hare is something just about everyone has grown up listening to. The moral of the story, we are told is that in order to be successful, one should do things slowly and steadily instead of acting quickly and carelessly. But one could also argue that the moral behind the story of the tortoise and the hare has to do with over-confidence, and not so much about being slow and steady. 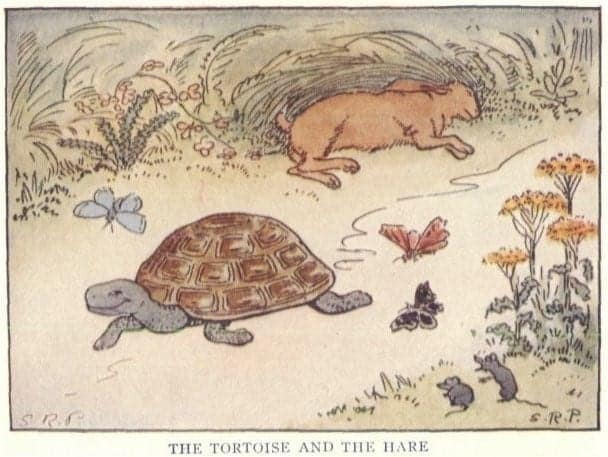 In the investing world, the analogy of the tortoise and the hare is often used to describe two forms of investing known as active and passive investing. While both these two types of investing have the same goal in mind, which is to make money, they take two completely different approaches. Passive investing is less risky, less expensive and thus provides lower returns over a longer period of time. Active investing on the other hand is more risky and expensive but compensates by offering higher returns in a short period of time. Depending on your investing goals, one might opt for either a passive investing opportunity or dive into an active management portfolio. There are many stock brokers now a days that support both these types of investing strategies and despite active management usually having higher transaction fees, these prices have often fallen considerably in recent years. Within active management, investors are also now spoiled for choice with different types of investing products available, thus in a way removing most of the ‘activity’ bit in investing. So if you are wondering what active and passive investing is and how these are different from each other, read on below. Active investing is a type of an investment approach which involves active involvement or management in buying and selling activity by the investor. Active investors tend to have a higher level of transactions as they are actively buying and selling stocks and ETF’s constantly in an effort to outperform the market returns. One of the drawbacks with active investing is that the type of stocks being analyzed need to have similar personalities as well. For example, you can't expect to be actively investing if you purchase defensive stocks that are slow moving. On the other hand, stocks that compliment active investing are the high growth stocks which one can find in the technology sector. But having said that there is no limitation on the type of sectors one can invest in as long as the right stock picks are made. With active investing it is not just about how frequently you trade but also how frequently you can make a profit. Therefore, and understandably so, the benchmarks for active investing are usually higher as the goal is to consistently keep beating or out-perform the stock index returns. The pressure mounts when main stock indexes are in a bull rally and active investors must look at more risky bets to make in order to out run the market returns. Due to the fact that active investing seeks to hunt high performing stocks, there are some significant risks that come with the frequency of investing. While on the other hand, the biggest benefit of active investing is that investors can look to increasing their investment returns by a significant amount within a short span of time. Active investing is riskier than passive investing no doubt but investors can look at making significant returns within a short span of time. Investors can look to individually picking stocks or invest in ETF’s that tracks high growth stocks or has a portfolio of stocks that can outperform the average market returns. Passive investing is the complete opposite to active investing. It is an investment approach that aims to maximize the returns from an investment over the longer run. Passive investing or passive management keeps buying or selling shares to the minimum and is cheaper in terms of fees when compared to active investing. Passive investing doesn't bring short term profits but focuses on building a slow and a steady wealth over time, it is also considered to be a safe way to invest as your investments are tracking the broader stock market. A good example of passive investing is of course, the famed buy and hold investing strategy. ​​One of the guiding principles for passive investing is that when the markets are given enough time, they generally post positive returns. Passive investing keeps a close eye on the stock index which forms the benchmark and of course the goal is in beating or mirroring the returns from the benchmark stock index. One of the drawbacks of passive investing is of course time, thus it makes passive investing as a strategy that can be started early on with an aim to build wealth towards retirement. Active investing can be done in a number of ways and the first place to look at are hedge funds, which more often than not work for the sole purpose of outperforming the markets and delivering returns, regardless of how the markets have performed. Active investing strategies do come with quite a few choices as well, starting from mutual funds and ETF's, to individual stocks and motif investing which is a relatively new addition. However, due to the nature of active investing, investors must brace for higher fees, both in terms of managing the funds, if one makes use of a fund manager as well as taxes as the short term gains are taxed higher. In order to be successful in active investing, investors need to have a better understanding of the markets and must be quick on their feet to act, if they are actively investing by themselves. Having a good and a reliable broker is essential when it comes to active investing. Investors also need to keep their eyes and ears open on any potential stock moves that are expected. For example, here is a motif portfolio focusing on energy sector which has been in rebound. The portfolio of stocks in this basket included names from a selection of Pipeline and Oil production sectors. Despite the tendency to outperform the benchmark index, the active investing or active management of stocks can lead to potentially fatal downsides such as short term volatility in the stock markets and the odd market crashes that occur every now and then. Without a good safety net and being well capitalized, active investing can do a lot more harm than good especially when emotions are brought into the picture. For investors who manage to overcome these drawbacks, active investing can be a great way to build wealth quickly which can be further enhanced when the profits are reinvested. Passing investing is a better option for beginners as it allows for a broader diversification of the market. Passive investment is a strategy by itself where as few as possible transactions are made with the added benefits of some tax sops. 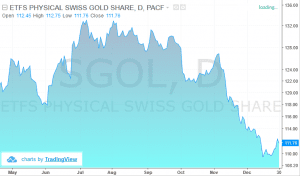 Buy and hold remains the key to passive investing and patience is of the essence. Passive investors seek long term capital gains and can invest in a variety of asset classes from stocks to bonds, to real estate to commodities. Index funds are one of the most popular ways for passive investing. An index fund can be either a mutual fund or an ETF which is designed to track the movements of the financial markets with the holdings in proportion to the given markets. As an example, the Vanguard S&P500 index fund aims to replicate the performance of the S&P500 and is one of the index funds that can be used for passive investing. The chart below shows the Vanguard S&P500 ETF Fund (VOO) overlay with the S&P500 index chart. You can see how this ETF has been tracking the S&P500 index steadily, mirroring the index. Besides the above ETF, there are many other options that passive investors can choose from, based on different criteria and of course the metrics that can be used to invest in the right passive ETF which can track a number of benchmark indexes, from the Dow Jones Industrial Average to the Russell 2000 Index. Within passive investing, real estate investing stands out the most. Investing in land and real estate property has been one of the constants throughout the investing history and it has made quite a few very wealthy. There are many reasons that support the general interest in passive real estate investing. For one, passive real estate investing is attractive because it allows for tax-deferred cash returns which allow the investor to pay only small taxes compared to paying tax on dividends or interest payments. There is not much of effort involved as far as management is concerned. Passive real estate investments are stable and professionally managed by a top tier property investment firm. And of course, the biggest benefit being that this type of investment offers a stable cash flow while retaining the upside for capital appreciation. The property investment is an ideal alternative besides equities as it allows investors to put their money to work in the real estate market without having to deal with the day to day activities. In terms of the economic cycles, real estate has proven to be a hedge against inflation as rents and values of properties keep pace with consumer prices. Passive investing finds its appeal among most including wealthy investors. It is after all to do with whether the investor wants to beat the markets or to reduce their investing costs, with most successful investors focusing on reducing costs. On the other hand, active managed investing which also includes managed funds tends to focus beating the index. Of course, this comes at the higher cost of transactions as higher fees are required to pay not just for the fund management but also research and analysis that goes into beating the index returns. Below are some strengths and weaknesses of both active and passive investing to consider before you decide which of these make for a better option of investing. As to the argument of which of these two types of investing is better, many retail investors have been traditionally inclined towards being an active investor and even now many are actually active investors even without know it. Passive or index investing has however been gaining ground especially as ETF’s grow in popularity allowing investors to track a broad sector without having to focus on the individual constituents of the ETF’s index. Active and passive investors do make a sound case as to why their approach to investing is a better option. The common points being that either active investors tend to actually underperform the market returns while passive investors have to wait for long periods of time to truly see how their investments have fared. So, do you want to invest like the tortoise or would you want to leap ahead like the hare? Remember, that while there is no right way of investing, the bottom line is the fact that the investor needs to know why they are investing and for what and how much of risk they are willing to take to reach their goals. Once these questions are answered, it becomes a lot easier to figure out whether you want to invest like the tortoise or the hare.